Give us a call. Write us an email. Drop by for a cup of coffee. We are listening and are here to help you. 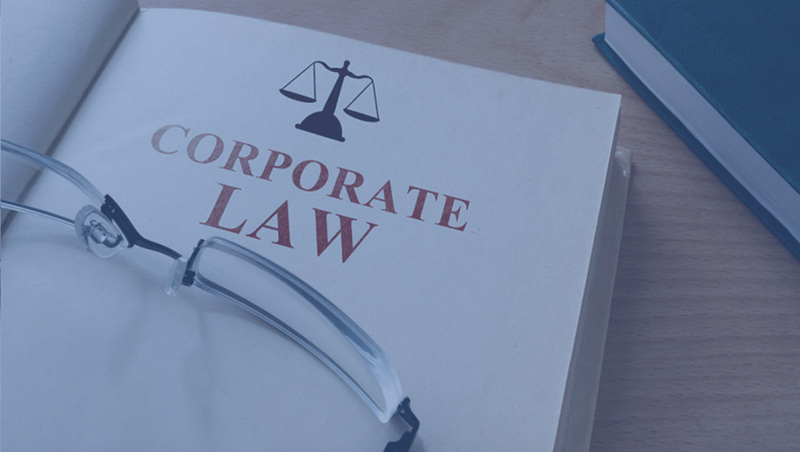 Corporate law management is a key measure of success for business; it deals with the study of all legal corporate matters for keeping an enterprise in compliance with all legal updates of the industry. This branch of law holds all such cases which affect corporate entities in course of their operations. It governs the practise of incorporation, capital structuring, forming agreements, regulating mergers, licensing arrangements, assisting acquisitions and beholding of all such transactions taking place in between relative authorities and a company. Other than ordinary compliances, the law also governs legal scriptures and guiding laws of companies including administration of Companies Act, Corporate Governance, For-ex Management Act, Bankruptcy codes etc regulating the formation, diligence, responsibilities, and dissolution of the business. Seeking experience in business compliances in Delhi and NCR, MN & Associates has remarkably uplifted its core existence from a short-lived consultant firm to an all-rounder business and legal advisor. Counted appreciations from our respected clients have helped us to have an upward graph of satisfied clientele. Leaving an untiring team of members to back-end support, we cover each and every aspect of managing corporate law queries. Being known for processing and filing accurate tax returns in Delhi, we deliver resulting legal advice and business suggestions to all our associated patrons. Corporate Advisory services on all the statutory compliances with regard to the provisions of The Companies Act, 2013 and all other previous laws in and around venture places of Delhi. Liaison with the relevant offices of the Ministry of Corporate Affairs, National Company Law Tribunal, National Company Law Appellant Tribunal and other authorities concerned, in respect of various matters pertaining to the affairs of the company along with Regulatory Approvals of all such regulatory bodies. Secretarial Audit: Providing Complete Audit of Secretarial & Statutory Records with a suggestion to rectify the shortcoming and discrepancies observed in the Audit process. Assistance in drafting and vetting of an array of agreements and commercial contracts. Expertise in drafting agreements for various Public Sector Undertakings, Real Estate and Construction companies, Telecom companies, Retail sector and various other private and multinational companies. Incorporation and event-based compliances for all kinds of firms and companies. Annual Filling and statutory compliances in addition to XBRL filings both on event-based and retainer ship basis. Closure of Companies/firms both voluntary & compulsory. Reconstruction of Companies from growth & insolvency perspectives. Corporate Governance and corporate social responsibility related assistance in addition to Legal Due Diligence and assessments. Negotiation of a sale/acquisition of shares, business/ net-worth valuation , or other corporate finance transactions such as mergers, takeovers, restructuring and joint ventures along with preparation of business plan/project report. Compliances of Listed Companies as required by SEBI mandate. Setting up of a business unit in India as Wholly Owned Subsidiary, Branch Office, Liaison Office. Business Insolvency support and Liquidation matters relating to Individuals, LLP, and companies. Customized support for special events such as Bonus issue of securities, Right Issues and related Preferential Allotment of securities. Formulating and implementing the Code of Conduct and Whistle Blower Policy for corporate houses. Developing risk management framework, furthermore helping to control its reporting and implementation. Formulating, strengthening and implementing internal control measures for growth and success of businesses. Compliance with Foreign Exchange Laws and related state policies in addition to advice on Foreign Direct Investment in India. At present, MN & Associates bears corporate relations with high-end experts providing and guiding expertise in all legal services. We always prefer working on our client ways, letting down their cost of compliances. Our corporate office located in Delhi provides all reliable and standardized business solutions with a commitment to lead with client satisfaction. Amalgamation, mergers, de-mergers and reverse mergers. Valuation of assets and determination of exchange ratios. Liaison and coordination and obtaining approvals. Advice on Foreign Direct Investment in India. Setting up of a business unit in India like a Wholly Owned Subsidiary, Branch Office, Liaison Office. Preparation of business plan/project report. Tax planning with respect to setting up a business in India. Advisory services on pre and post set up compliance with the regulatory and legal framework. Advice on all the statutory compliances with regard to the provisions of The Companies Act, 2013 and all other previous laws. Secretarial Audit: Providing Complete Audit of Secretarial & Statutory Records with suggestion to rectify the shortcoming and discrepancies observed in the Audit process. Filing of Balance Sheet in XBRL mode. Obtaining clearances and Approvals from Statutory Authorities and Liasioning with Ministry of Company Affairs, Director General of Foreign Trade for matters relating to Compounding of Offences, Condonation of Delay, Obtaining of IEC Number etc. Due diligence and feasibility analysis of probable collaborators. MN & Associates - Company Secretary Firm In Delhi, we specialise in services pertaining to Corporate Law, Intellectual Property Rights, Startups, E-commerce and other such laws. Coyright 2017 MN & Associates All rights reserved.